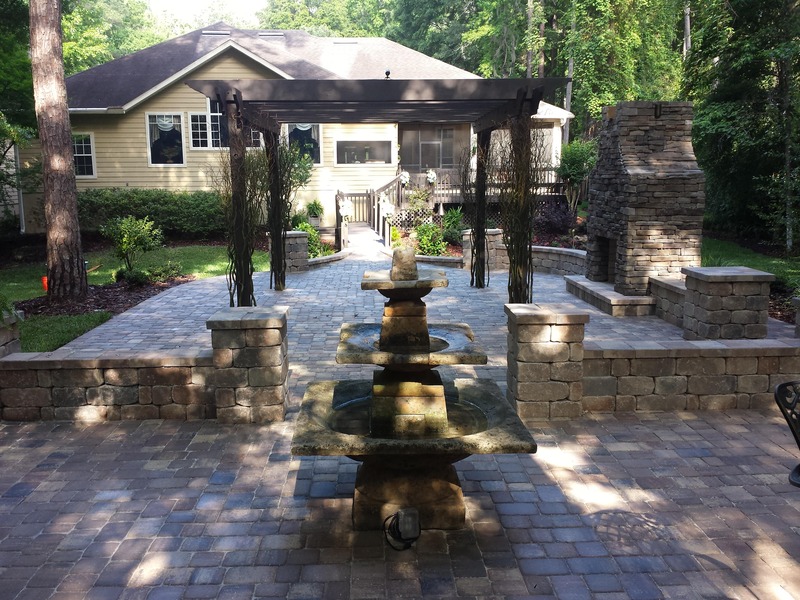 Hardscape patios can transform your outdoor living space by creating an outdoor common area. However, these spaces are anything but ordinary. With hardscape patio design, homeowners can choose designs and materials that reflect their personal style, creating beautiful extensions of their homes. These functional but aesthetically pleasing elements are a great investment for your enjoyment and market value. Patios are a great way to entertain your guests in style. Hardscape patios give homeowners an opportunity to make a statement. The eye is naturally drawn to patios because of how the hardscape juxtaposes the foliage. Patios are a great opportunity to showcase your personal style because they are very customizable to fit your needs. FloridaScapes prides itself offering various design and material options to bring your vision to life at an affordable price. Why limit entertaining to the home? Patios are the perfect outdoor venue for hosting friends and family. They act as an extension of one’s home, offering a safe and level area for children and adults to enjoy. Hardscape patios are very versatile and can be used for any type of gathering, from summer barbecues to intimate gatherings. The outdoor ambiance lends a special touch to each event, as guests watch the sunset or bask in the warm sun. Hardscape patios are one of the best investments for a homeowner. In addition to increasing the home value, patios are extremely low maintenance when compared to other outdoor common areas. 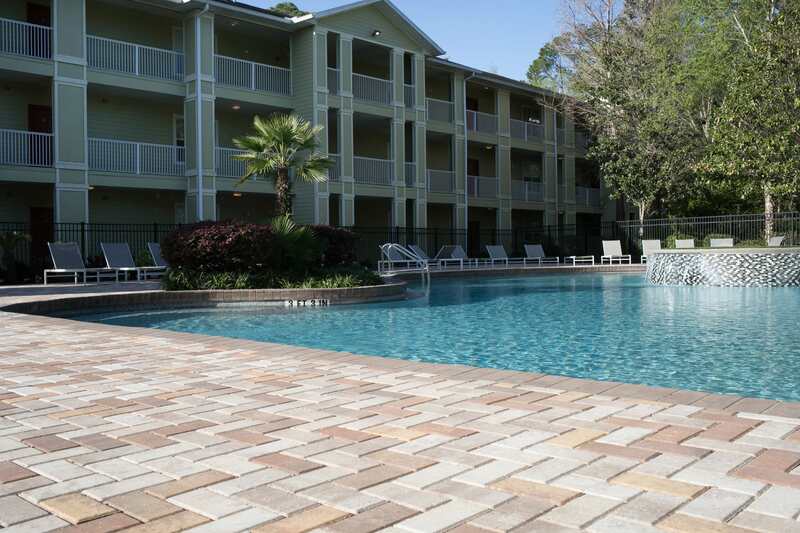 Patios are very durable and can withstand North Central Florida’s intense weather. On the contrary, decks require constant staining and painting when faced with the same weather conditions. Instead of worrying about patio maintenance, homeowners can simply sit back, relax, and enjoy. 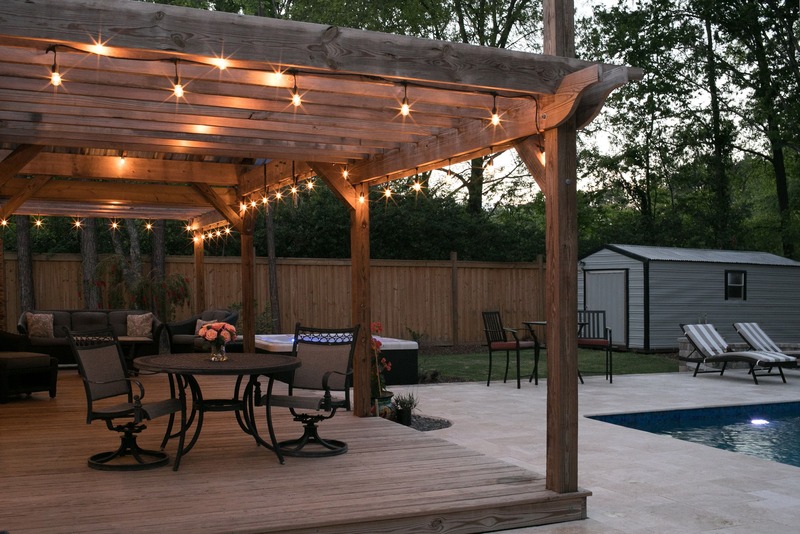 Hiring a professional to create and execute a well-planned patio is a key component in not only enjoying, but maximizing the value of your home. The hardscape professionals at FloridaScapes have over 20 years of experience designing stunning patios that simply delight. We will get to know you, your style, and your goals, and work with you to create the perfect patio that you and your family will treasure.